We discovered something very important last weekend. Whether you are in Florence for a day, a weekend or (preferable) the rest of your life, there is one important tourist task you can’t miss; going to the top of Brunelleschi’s Duomo. The Cathedral itself- like most things in fairytale florence- is home to a couple hundred years of history. It was designed at the tail end of the middle ages by Arnofolo di Cambio, a renowned Gothic-style architect, and not finished until almost two hundred years later with the completion of Filippo Brunelleschi’s famous dome in 1436. Today, you can buy a ticket to the top for the price of an H&M shirt. It’s probably the best fifteen Euros I’ve spent while in Italy. 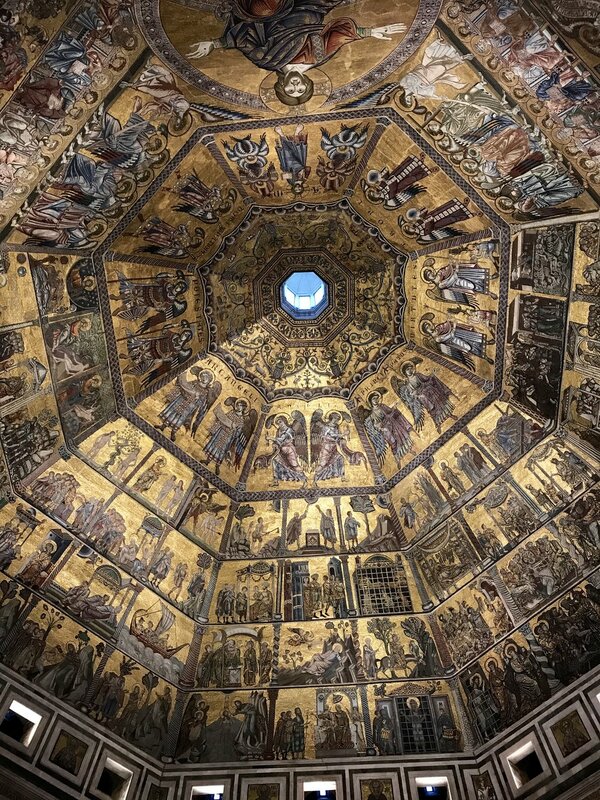 With a single ticket you get access to five different sites within the city center; the top of the Cupola, top of the Bell Tower, entrance to the Baptistery, entrance to the Crypt below the Cathedral and, of course, access to the Duomo Museum. This, of course, incites my first don’t. Please, please don’t do them all in one afternoon. DO invest in athletic shoes. (and you’re cutest low-heeled sandals do not count). In order to reach the top of the dome you have to climb between the inner and outer shells of the structure, which is obviously a bit of a tight squeeze. It also means that the steps are made more for medieval fairy princesses and not size 9 1/2 American feet. DON'T wear a cute skirt. Tight quarters plus vertical angles means a lot of strangers bumper to bumper on a ladder. DO take pictures, of course. But…. DON'T forget to check out the view without the aid of you’re smartphone. There’s a lot of life to see from that far up that can’t be captured with a lens. DO study up! It’s so fun to look at a map before, or even after, your visit. Each and every building in Florence has significant history and it’s pretty amazing to be able to point out Dante’s house or Michelangelo’s home parish from the top of the Cathedral. DON'T forget to check out the Duomo Museum! This was a major highlight for me. 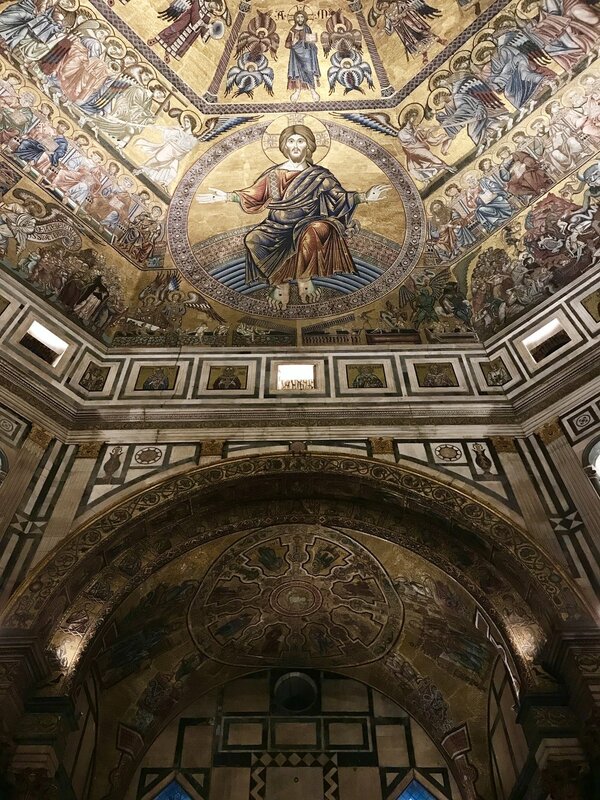 It’s filled with Christian relics, Donatello’s Mary Magdalene, a later version of Michelangelo’s Pieta, and of course Ghiberti’s original Gates of Paradise. If have ever taken a Survey of Art History course you have absolutely been forced to write an in-class essay on these doors. As someone who willingly takes Art History classes, the Duomo Museum was heaven. DO take twenty minutes for the Baptistry. Practically attached to the Cathedral, this is where pretty much all of the Renaissance Greats were baptized (Michelangelo, Leonardo, the entire Medici clan, ect). And if that doesn’t get you going, it’s ceiling looks like the inside of Aladdin’s Lamp. Not a joke. I hope these tips encourage you to go to the top of the Duomo and wear pants while doing it. Until next time !